Every week, a bulging envelope arrives in my mailbox, full of everything from diaper coupons to “save $5 when you eat at Olive Garden.” Which we don’t. I used to find it rather worrisome, what coupons my dad sent – did he really think about whether I’d use one for KY Jelly before he put it in the envelope? Shudder. 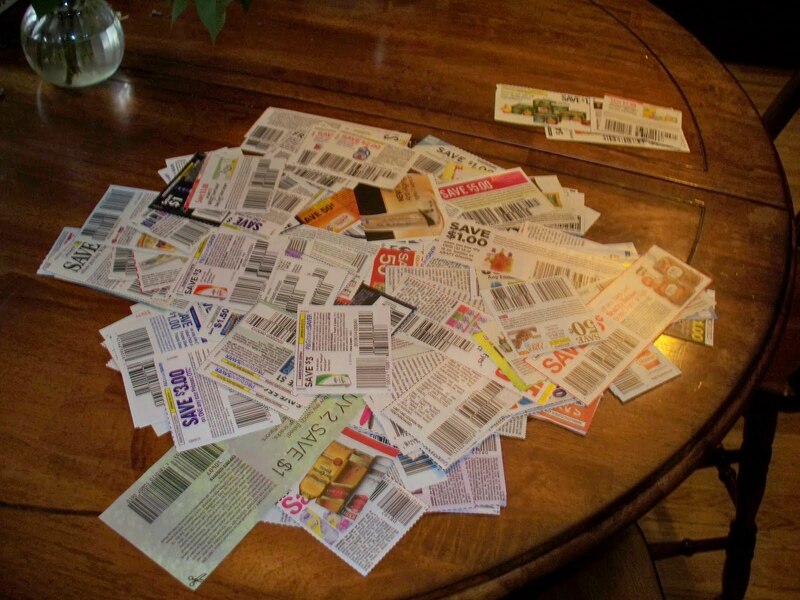 But now I realize that he simply sits, as he has done every Sunday morning since I’ve known him, at the kitchen table and methodically cuts every coupon out of the paper. He pulls out and files the ones he’ll use… and the rest are sent to me. Ensure, Southern Comfort, Similac, Alpo. I am 32, don’t generally buy hard alcohol, and have neither an infant nor a dog. Yet here they are. Today’s batch, pictured above, cost 3 stamps and was nearly an inch thick. That teensy pile to the right? That’s the ones I’m keeping. I don’t know what I’d do if they stopped coming.